Home » News » Which Filly Will Snag the Next Delta Downs Crown? 2013 Delta Downs Princess Stakes (GIII); Which Filly Will Snag the Next Delta Downs Crown? The Delta Downs Princess Stakes is set to take place Saturday, November 23, 2013 and is run annually at Delta Downs in Vinton, Louisiana. 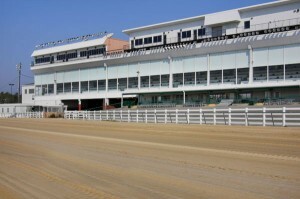 A Grade III event for the first time in 2008, it is raced in November and open to two-year-old fillies with a purse of $500,000 at the distance of one mile on the dirt. 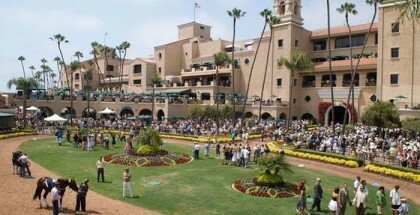 The race is held on the same day as the Delta Jackpot Stakes for two-year-old males. The speed record for the Delta Downs Princess Stakes is held by Salty Romance at 1:39.17 set in 2003. The most wins by a trainer are from Steve Asmussen in 2004 & 2008 and the most wins by a jockey are Shaun Bridgmohan in 2008 & 2010. The 2005 edition of the Delta Jackpot Stakes was cancelled due to Hurricane Katrina. 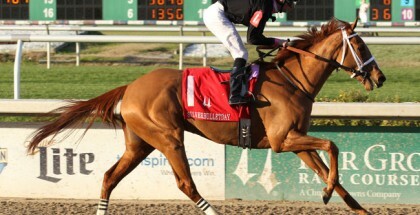 Rose to Gold and jockey Paco Lopez finished first in the 2012 Delta Downs Princess Stakes. Rose to Gold went on to compete in her last race, the 2013 Kentucky Oaks, where she finished in 8th place. Delta Downs will host eight stakes races with $2.25 million in total purses including the 11th running of the $1 million Delta Downs Jackpot (gr. III). There will be a special post time of 1:15 p.m. CST for the Jackpot program. Last year’s Delta Downs Jackpot program produced the second-highest single-day pari-mutuel handle in track history of $4,359,362, only 1.57% less than 2011, when fans bet a record $4,434,099. The 2013 edition of the Delta Downs Princess Stakes is the 6th race of the day on a card of 11 and set for a start time of 3:43 pm CST. The Delta Downs Princess Stakes is a race that is part of the “Road to the Kentucky Oaks” prep-series and will award the winner ten points towards their chances at the 2014 Kentucky Oaks. There are some great fillies in the 2013 Delta Downs Princess Stakes and it’s a tough choice with some local gals vying for a piece. I’m going to go with one of the Breeders’ Cup Filly contenders this year, Concave, for the win. The Doug O’Neill trained daughter of Colonel John was 9th last out in that race where she was in good position early, ran three wide in the backstretch to be taken up sharply by the unfortunate breakdown of Secret Compass and was protected in the final quarter. Prior to that she was 3rd in the Del Mar Debutante (GI) at 7F on the all weather track and was a game 1st on August 7, 2013 in the (GII) Sorento Stakes at Del Mar after stalking the pace to beat She’s A Tiger on the poly. Concave recently worked 5F on November 11th at Santa Anita in 1:01.60 finishing 29/56 handily on the dirt. She has a race record of 4:2-0-1 and exits post #6 with Mario Gutierrez up to ride. Two others to consider here in no particular order are the daughter of Jump Start, Miss Behaviour, and the Mark Casse Woodbine shipper, Appreciating. The Phil Schoenthal trained Miss Behaviour enters off a second place finish to Tea Time in the Sharp Cat Stakes on October 27, 2013 at Belmont Park going 6 1/4 F on the dirt. Prior to that on September 29, 2013 she took the 106th running of the Matron Stakes (GII) at Belmont going 6F on the dirt where she shot past favored Sweet Whiskey on the turn and held off a resurgent late charge from the even-money favorite. That was her third straight victory and first graded stakes win. Miss Behaviour will be making her first start away from the Northern part of the country and has never been off the board yet. She worked 4F in 49.00 2/4 at Bowie on November 12th. 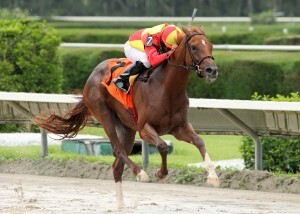 Miss Behaviour attains jockey S. Russell and exits post #3. Delta Downs will host eight stakes races with $2.25 million in total purses including the 11th running of the $1 million Delta Downs Jackpot on Saturday, November 23, 2013. There will be a special post time of 1:15 p.m. CST for the Jackpot program. Mark Casse is sending in two shippers here from Woodbine and I like the #7 Appreciating who gets the prowess of jockey S. Bridgmohan up to ride. In the (GIII) Mazarine Stakes at Woodbine, Appreciating came in 5th after stalking the pacesetter, hustled on the far turn, bid late for a duel and chased in the stretch. This race was run on the all-weather track at 1 1/16. Prior in the Natalma Stakes (GII) she was 3rd at one mile on the turf where she broke awkward was 3 wide in the finish and under a determined drive. She broke her maiden at Woodbine going 7F on the turf so she is lightly raced. On November 16, Appreciating breezed 5F in 1:01.40, 16/48 at Churchill on the dirt. For the 2013 Delta Downs Princess Stakes I’m going with Concave. She hasn’t won on the dirt yet but she has run further than a mile in the Breeders’ Cup Filly race, has the class with a great pedigree and will be ready for the crown Saturday. 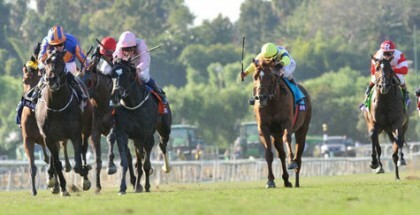 Concave, Secret Compass and She’s A Tiger were in my pick3 at the Breeders’ Cup that Saturday morning. Secret Compass broke down, that was devastating, She’s A Tiger was disqualified and Concave finished 9th. I’m hoping she can rally here for the win. We’ll see how Miss Behaviour does stretching out to a mile for the first time with a background of wins on the dirt. Appreciating has run further than a mile with a background on turf/poly and I think she’ll appreciate the dirt. Best of luck to these young gals and their connections Saturday. Safe run! 5. Synapse 10/1 G.Melancon/A.Leggio Jr.